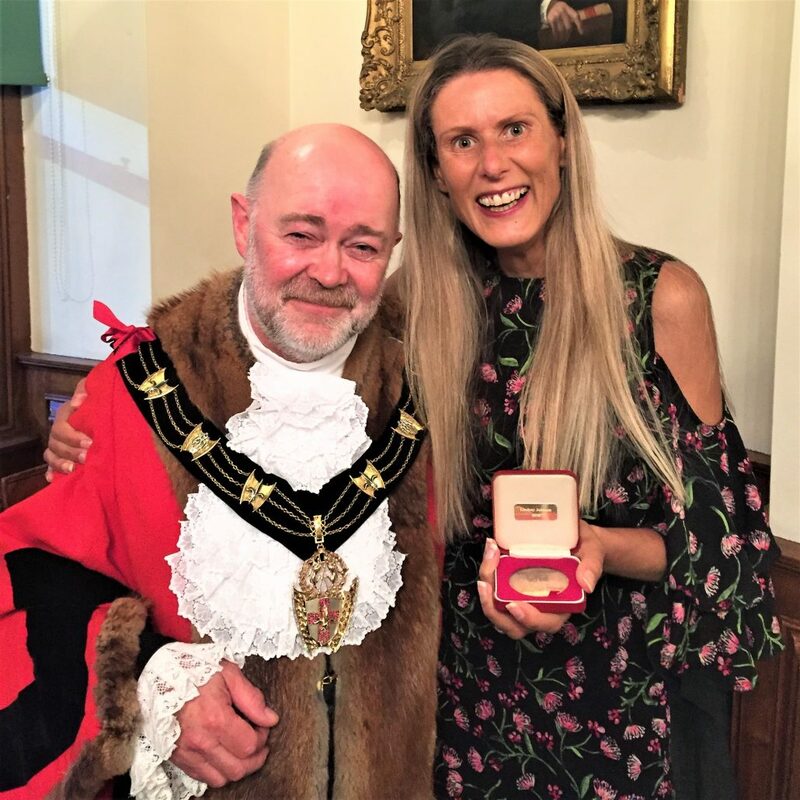 We are so incredibly proud and delighted to share that the lovely Lindsay Johnson, who has been volunteering for the Project for just over a year, has been awarded the Mayoral Medal by the Right Worshipful Mayor of Lincoln, Councillor Chris Burke, at Lincoln’s historic Guildhall. She was nominated for the award to recognise her outstanding contribution, commitment and dedication to the Project, which has been performed with enthusiasm and professionalism. You can read more about Lindsay’s involvement with the Restoration Project in the latest Boultham Park Beacon magazine, available locally and online via this link.